The first Unlimited gems hack for "Invizimals Battle Hunters" latest update which was officially released on January 25th, 2016 by PlayStation Mobile. Play the newest entry based on the Invizimals™ saga and TV show! Note: this is the free version of the game, you need to pay to unlock Invizimals Battle Hunters full version apk and get the full content with over 170 creatures. Back to the game, players take the role of hunters in search for energy-based mythical creatures called the Invizimals. There is a huge world to explore, and many advanced tools to help you in your endeavor like energy radars. Once you capture them, then you train and grow them through battles for a chance to become the best in your field. - Unlimited (money soon) gems cheat. - Find and defeat the evil Xtractor robots. - Level up, and evolve your Invizimals™. - Earn and use battle cards for their deadly power. - More than 40 unique locations all over the globe. - Collect various creatures of the jungle, the ocean, or the desert, they are not the same. 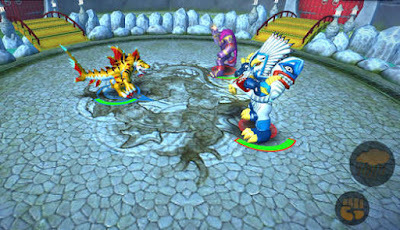 - Defend your Invizimals™ village by setting up advanced towers, and raid other players. - Compete online for bragging rights as the most skilled Invizimal™ Hunter there is. Fixed vertical mode and button press bugs. Extracted Data folder goes into /Android/obb/, install the mod and play.